There is no denying the fact that it is your hard work and perseverance that catapults you on the path to success. However, it is also true that you boss too plays an important role in propelling your career at a faster speed. The least you can do is to thank him. 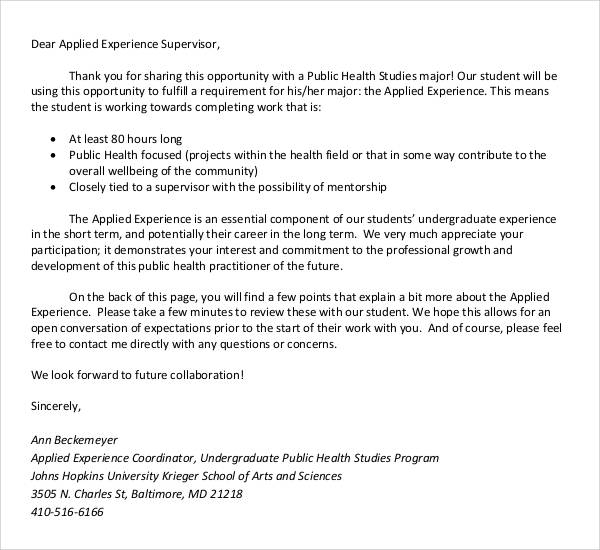 However, a verbal thank you letter template just does not seem enough. What you need is to send him a thanking letter expressing your feelings. This would definitely be cherished by him and make him feel special. 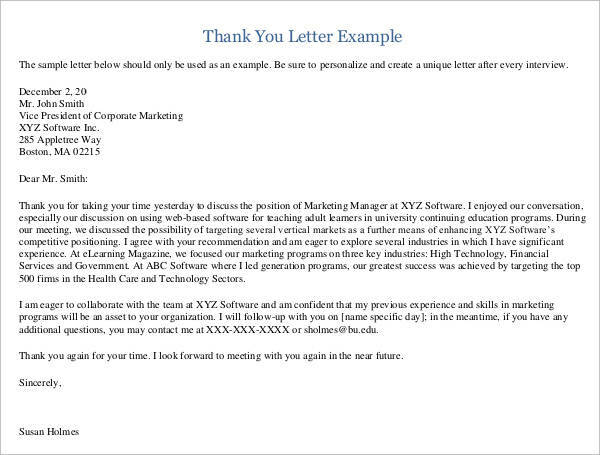 Wondering how to write a thank you letter to boss? Well, using a thank letter to boss template can definitely help. File This comes from an employee who has been felicitated or otherwise recognized for his performance and other efforts in an organization. A thank you appreciation letter is basically to showcase your generosity for selecting you as a prize recipient and guaranteeing your continued contribution to the organization. 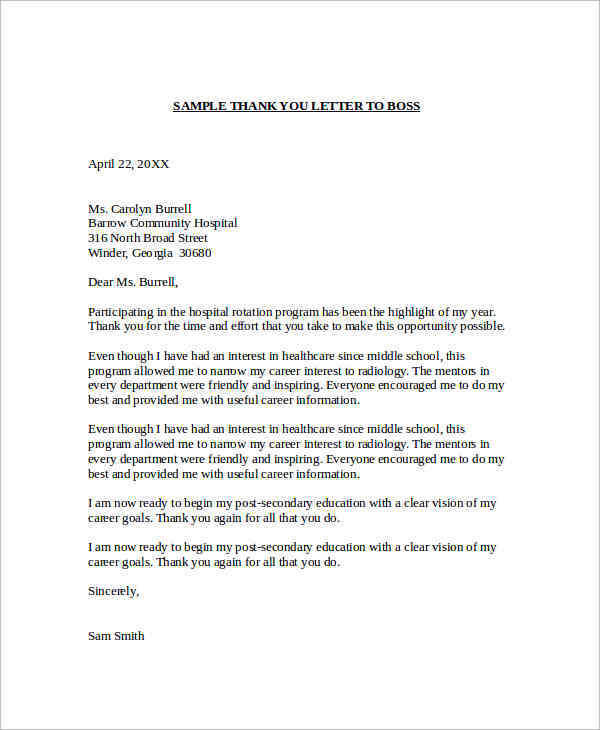 A Thank You Letter from employer to the boss can be applicable in several occasions ranging from acknowledging the continued support of the boss or a gratitude for any kind of positive appreciation. This would be a special kind of communication between the organizational management and the head of the business about the support of the latter for his support or appreciation for an event or his presence in special occasions.You may also see interview thank you letter. A Thank You Letter to the boss is a general mandate from every new recruit to show his generosity towards selecting him for the position. This letter can also come from existing employees for being selected for special courses, trainings or projects.You may also see business thank you letter. 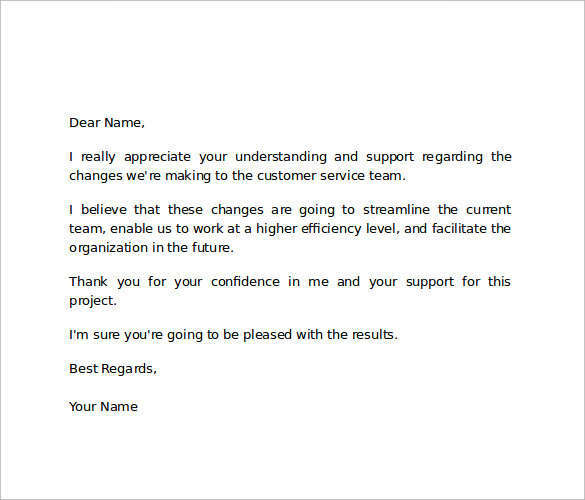 This is a generic design of a thank you letter to a boss. It comprises of the important segments that you should include in such a letter along with a meaningful message. There are spaces to fill in your details as well as those of your boss. 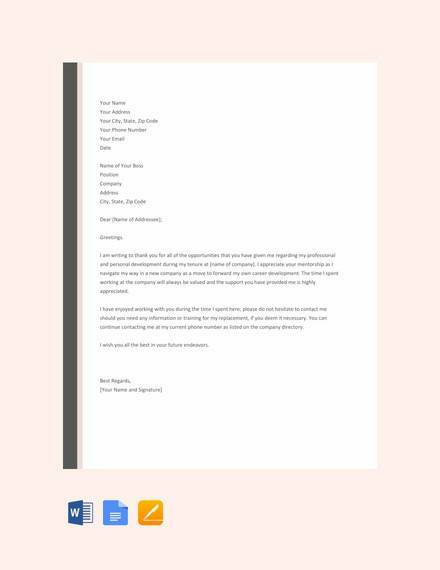 You can use this letter just the way it is or make some changes to add a personal touch.You may also see professional thank you letter. 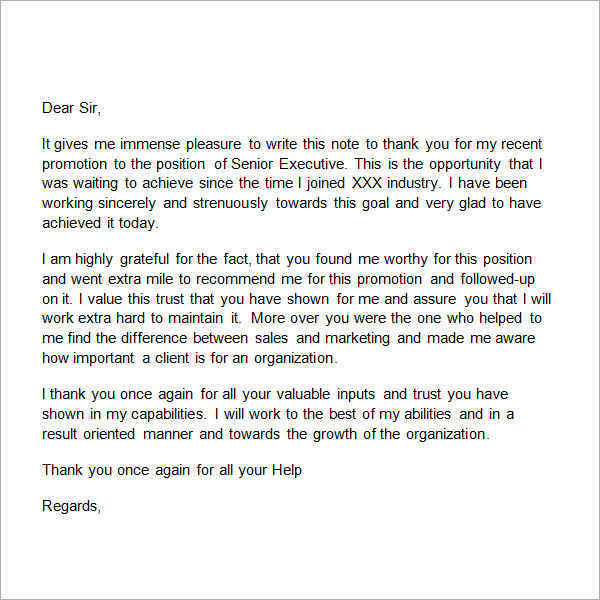 If you have just got a much awaited promotion confirmation and you get to know that your boss had put in a positive feedback for you, it is important that you thank him profusely. Sending a thank you letter would be a great idea. Don’t know how to write such a letter? 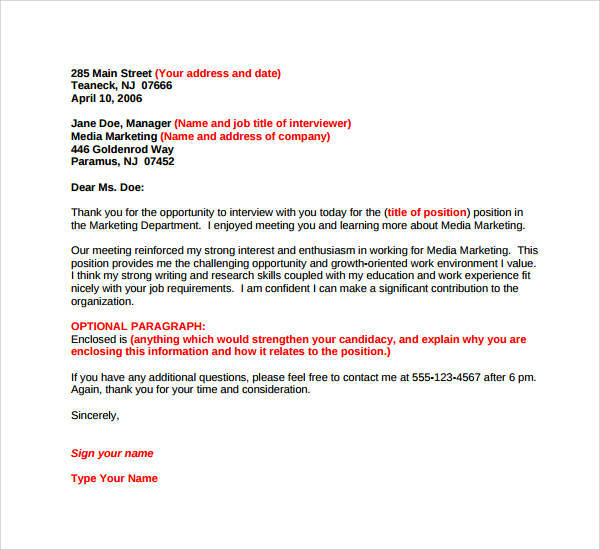 Use the thank you letter to boss for recommendation letter . It contains an apt message that would fill your boss’ heart with warmth and pride. 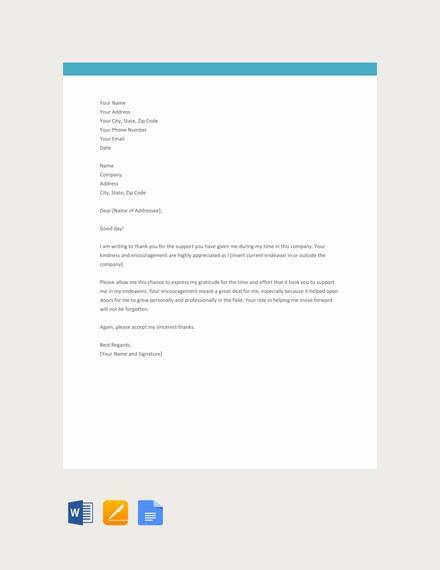 Just fill in the relevant details to personalize the letter and send it across. You have been waiting for a prestigious project to fall in your kitty and when it comes your way, you should surely thank you boss for the opportunity. Do this by sending him or her, a letter. 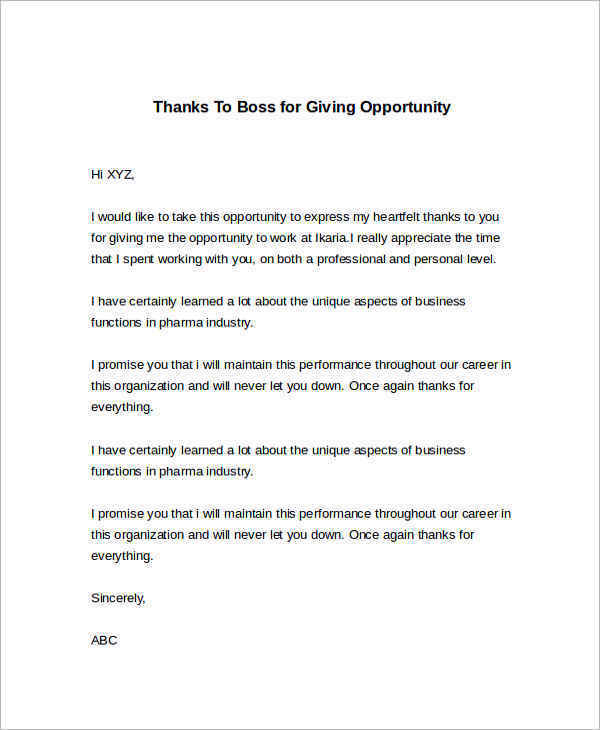 In case you are falling short of ideas to pen down such a letter, go ahead and download the thank you letter to boss for opportunity template. The perfect message in the template is sure to convey your feelings.You may also see sponsor thank you letter. 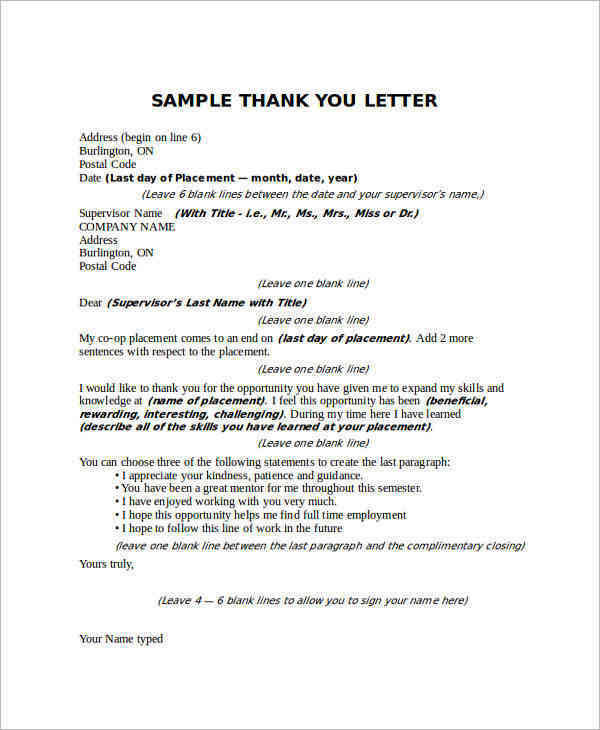 In case you or your boss are changing job and quitting the job and transferring to a new place, a thank you letter is a best way to express your thoughts to the boss would be a perfect farewell gift. Thank him for all that he/she has taught you and the support extended. Not sure how to draft such a letter? Don’t worry. 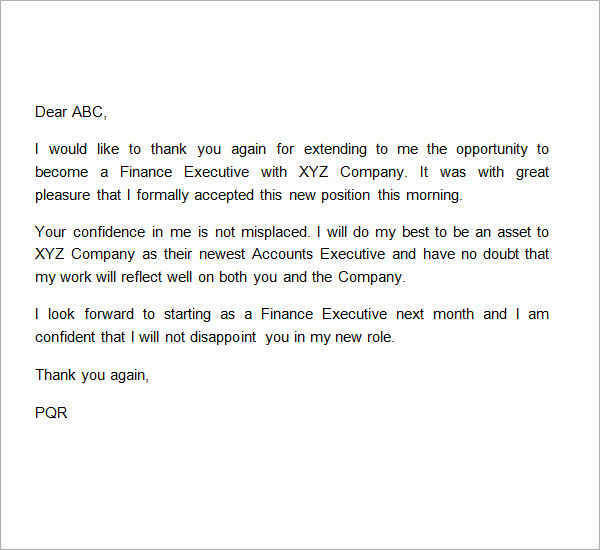 Use the farewell letter to boss template. 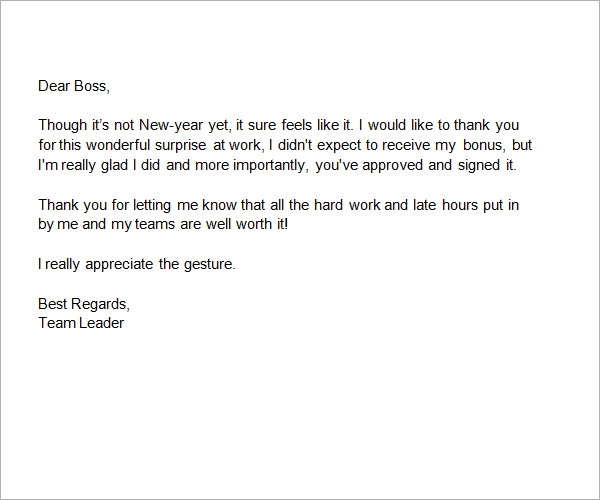 The message in this template will surely make your boss feel special. Just customize the template and send it to him/her. How to Write a Thank You Letter to Boss? Your boss has an upper hand when it comes to accelerating your career growth. Thus, it is always a good idea to be in his good books, by working hard and proving your efficiency so that you gain recognition. Also when he does something that proves to be beneficial to you be it a great appraisal or a pay hike, it is a great practice to write a thank you letter to him rather than show your gratitude in speech. Here is how such a letter can be written. 1. If you are writing the letter as a hard copy, make sure to use an A4 sheet or a neat paper. 2. The note should be short and to the point and should follow a formal tone. 3. While thanking him, don’t forget to show your appreciation towards the firm as well.You may also see coach thank you letters. 4. Conclude the letter with your hopes and aspirations for the future. A thank you letter can also be tagged on with a resignation letter to show your gratitude for all the support your boss might have extended during your tenure in the organization. How to Thank your Boss for a Bonus? When you receive a performance bonus, an incentive or an increment of pay, do not forget the fact that your boss had an important role to play in it. The best way to acknowledge this is by writing him a thank you letter. Wondering how to do this? Here are a few tips to help you out.You may also see thank you letter to teacher. 1. In case you wish to send a note in hard copy, choose a card or a clean sheet of paper. You can also send a thank you letter via email. 2. Start the letter by expressing your gratitude for the benefit you have received. 3. Also put in a word of thanks for the organization that has made this happen.You may also see thank you letter to doctor. 4. 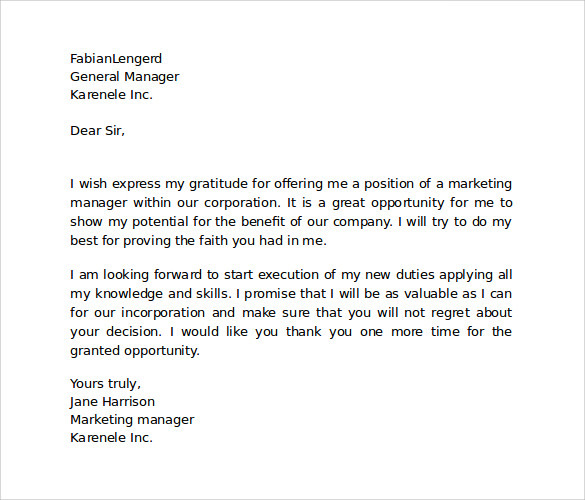 Conclude the letter with what plans you have for the growth of the organization in the future. When do you Need a Thank You Letter to Boss? 4. Giving him an idea of your future aspirations. 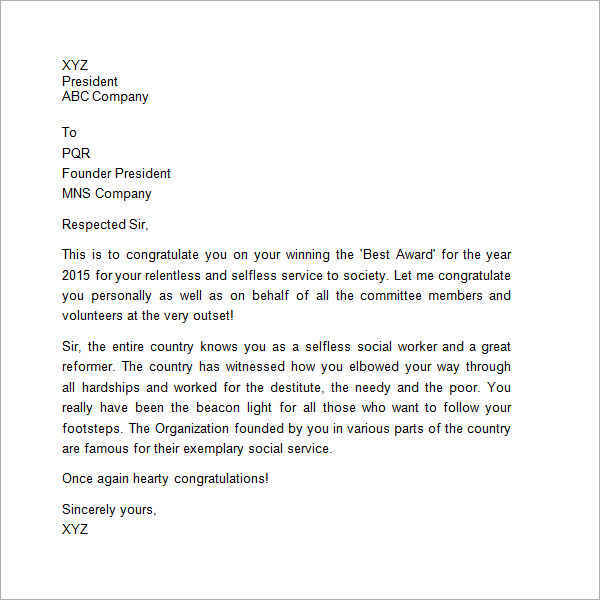 You may also see award thank you letter. 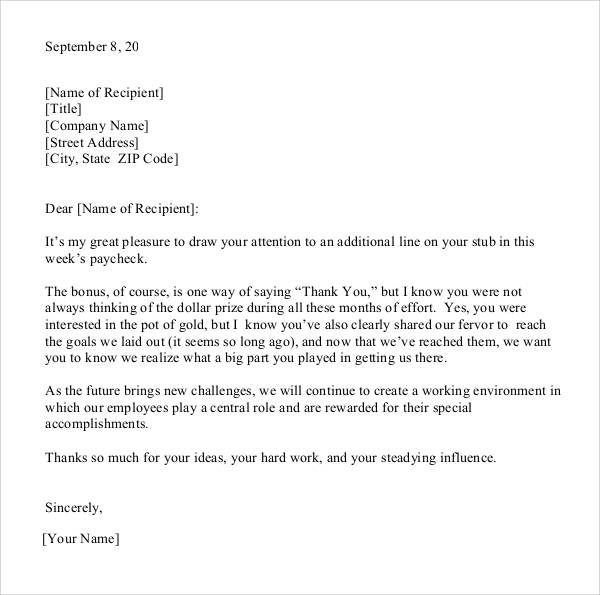 Select from our wide range of thank you letter to boss template the perfect one for you. These are available in PDF and MS Word formats and are compatible with all devices. These can be customized as per your requirements and are print ready. If you want us to make any changes to our templates to suit your need, we are open to your suggestions and would be happy to oblige.